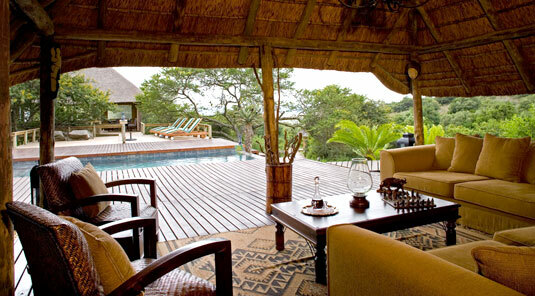 Accommodation at this Five Star Game Lodge is provided in four suites - 3 luxury suites and 1 designated the honeymoon suite - each individually styled in simple African ethnic decor, never compromising luxury. 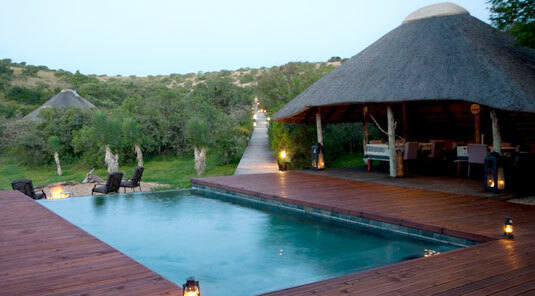 This secluded safari destination is tucked away amongst the indigenous trees and schrubery in a hidden valley with expansive views out over the Amakhala Game Reserve. 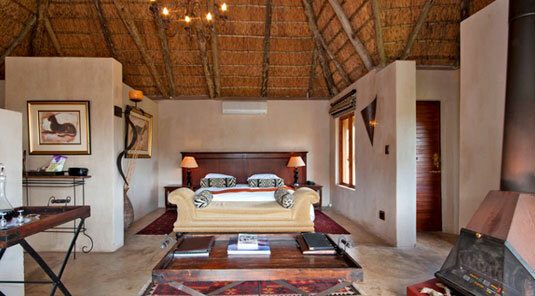 The bedroom suites are connected to the Main Lodge by wooden walkways, with each of the thatched suites offering their own private wildlife-viewing experience. 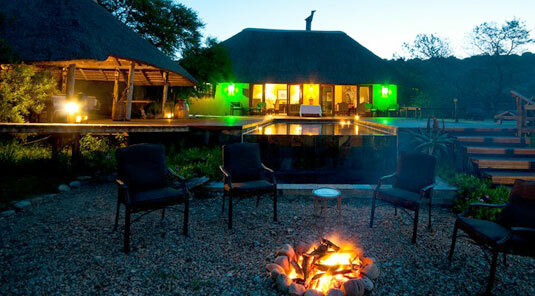 Indulge in sumptuous high teas, private candlelit dinners or exciting fireside boma dinners under our African stars. 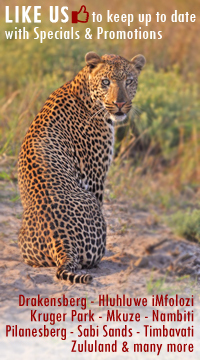 The camp is not fenced so as you fall asleep, you might hear the silence broken by the unmistakeable sounds of some animal making its way through the camp. 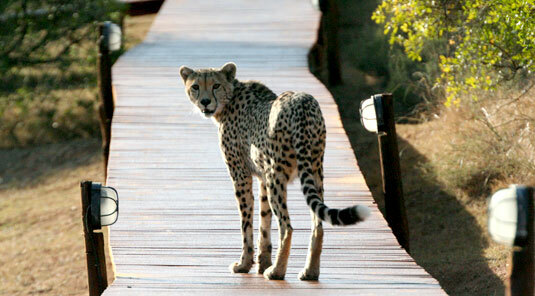 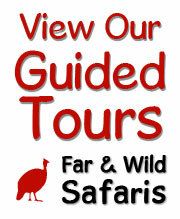 We offer morning, and afternoon /evening Game Drives in "open" safari vehicles under the guidance of qualified rangers. 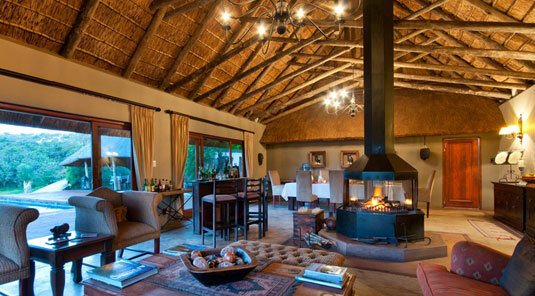 A "boma" adjoins the main lodge where bush braais are enjoyed under the stars. 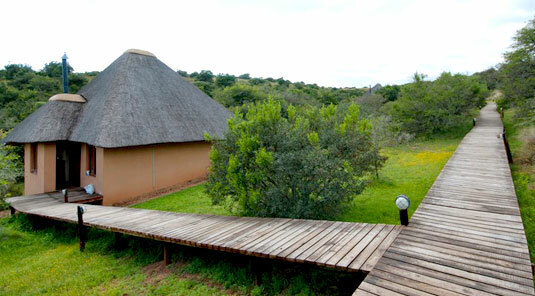 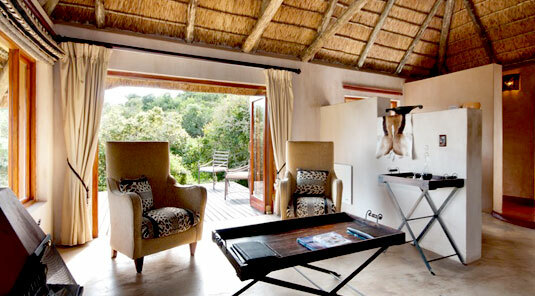 Bukela Lodge may also be booked exclusively for small team-building incentives, conferences or weddings.